E3 isn't until next week, but publishers are already showing off some of their new software. Today, Capcom announced Mega Man Legacy Collection 2 for PS4, Xbox One and PC. Whereas Mega Man Legacy Collection had Mega Man 1 through 6 in all of their 8-bit glory, Legacy Collection 2 features the 16-bit Mega Man 7 from the Super Nintendo, the 32-bit Mega Man 8 from Playstation and Sega Saturn, and the retro throw backs Mega Man 9 and Mega Man 10 from Xbox 360, PS3 and Wii. Like the previous installment, Mega Man Legacy Collection 2 will feature a wide array of options to tweak and change the gameplay of the four core games present. These range from remixed stage orders to armor bonuses and a lenient checkpoint system for those new to the game, to the blistering hard Challenge Mode. Finally, there is an included museum mode which includes concept art and a sound mixer to mess around with too. Mega Man 7 was the series introduction to Bass, another rival type character for Mega Man to face off against. There was a sequel to Mega Man 7 released in Japan as Rockman and Bass that didn't make it's way state side until 2003 as a Gameboy Advanced game. 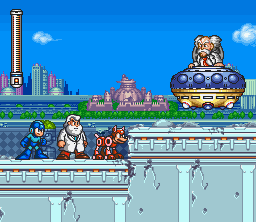 Mega Man 8 was the first in the series to feature anime style cut scenes between levels to help build the story of the game, even if it's English dub was grating. Hopefully there will be an option for Japanese voices with English subtitles. 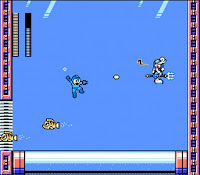 Mega Man 9 was released eleven years later for modern platforms on their corresponding digital download services as an 8-bit throwback style game. 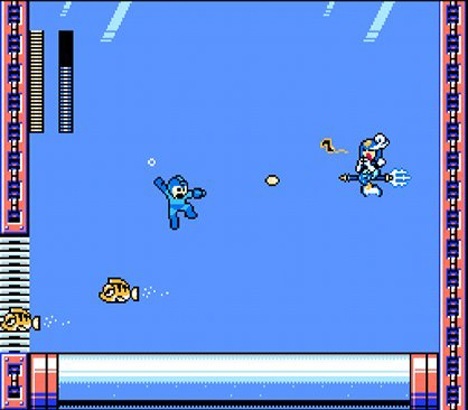 9 was also the first Mega Man title to feature a female Robot Master in Splash Woman. Mega Man 10 followed the same retro throwback formula and released a year later. Mega Man Legacy Collection 2 will release on August 8th for PS4, Xbox One and Steam.